We invite you to our sixth annual Charity Gala Ball & Auction, where we will once again bring Africa to the heart of Berkshire. You will enjoy live African entertainment, the opportunity to bid on unique items and experiences in our charity auction, a fantastic 3 course meal and more; all in a celebration of the joy and hope that comes out of Africa..
For more information on corporate sponsorship, please click here to download a PDF (opens in a new window). Walking, Jogging or Running your passion? 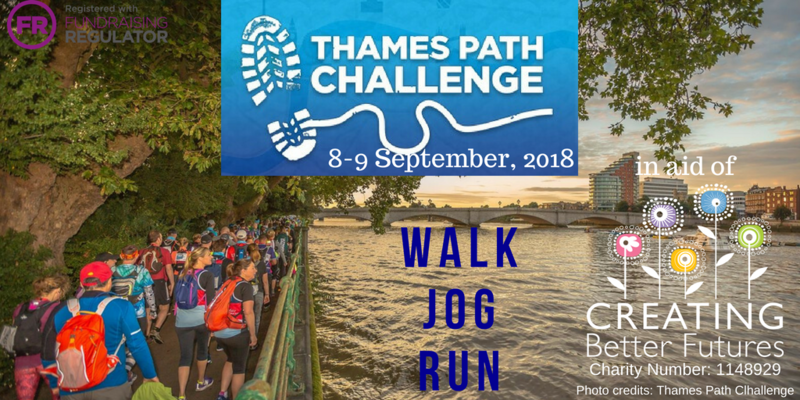 Take on the Thames Path Challenge. There are various distances to choose from: 100km, 50km or 25km. Whichever distance you choose will be sure to test your stamina and determination. 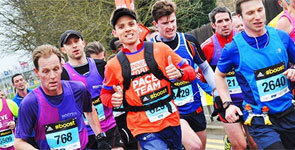 Imagine the sense of achievement you’ll feel upon crossing the finish line, supported the whole way! All we ask is that you fundraise at least £150 to secure a free space. 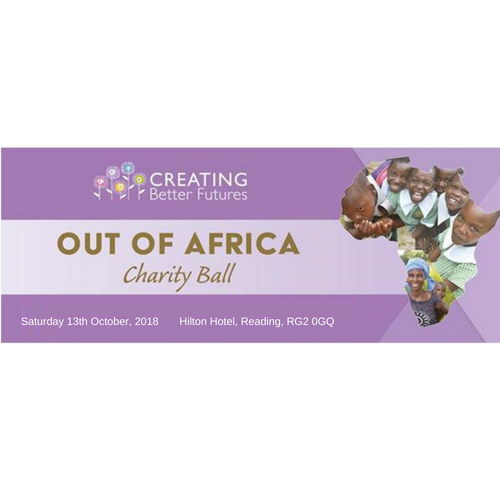 Creating Better Futures is back with a bang, presenting the unique 6th Annual Out of Africa Charity Ball. A vibrant, popular gala dinner that brings Africa to the heart of Berkshire, you could call it ‘Africa-on-Thames’. Prepare to experience the heart of Africa, immersing yourself in its diverse and lively culture. Feel the air of excitement as we celebrate the amazing work that our charity, has been doing and discover how you could create better futures with us. You can purchase tickets online via eventbrite and offline by sending us an email if you would prefer to pay by cheque or bank transfer. Please contact us on events@creatingbetterfutures.org.uk and we will send you the charity bank details. Ready to take on a challenge? 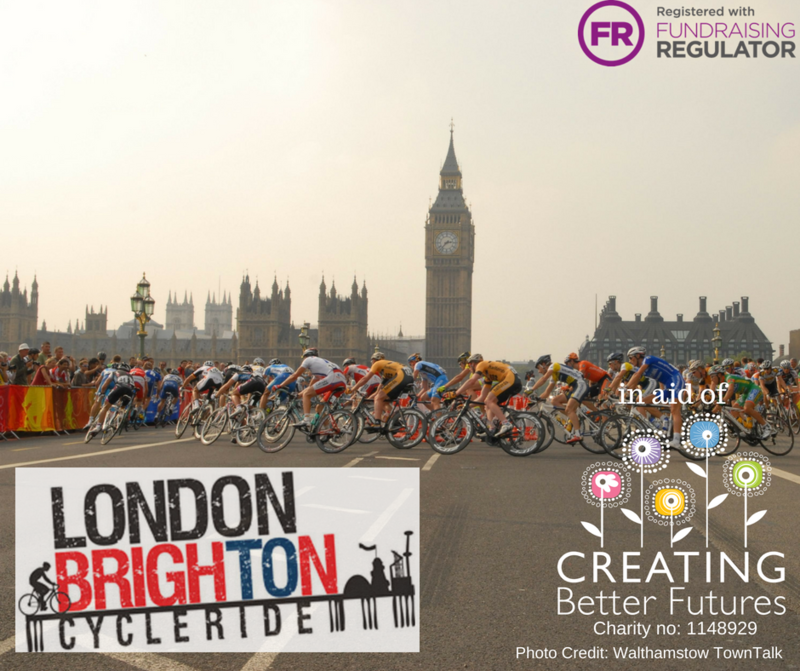 Why not cycle 54 miles from London to Brighton? 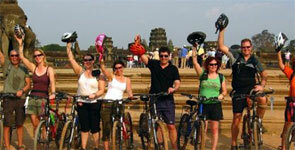 We have 9 free spaces left for those intrepid cyclists ready to test their stamina! All we ask is that you fundraise at least £150 for Creating Better Futures. 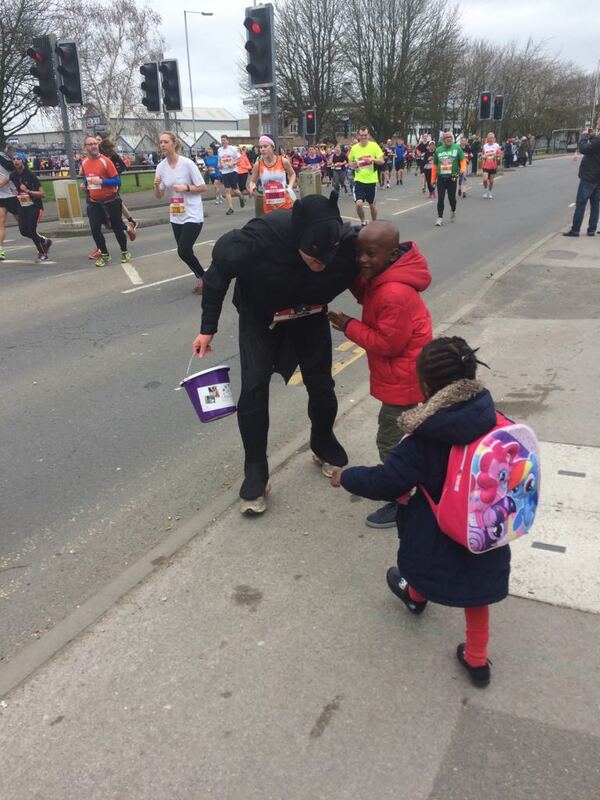 Creating Better Futures is an official local partner of the Reading Half Marathon. You can help to better the lives of orphans and vulnerable children in Zimbabwe by electing CBF as your chosen charity to run for. 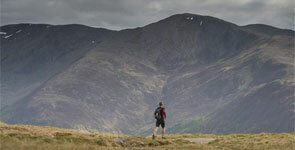 Take on this epic challenge and conquer three mountains in 24 hours: Ben Nevis, Scafell Pike and Snowdon. Accompanied by an experienced guide, the challenge includes overnight accommodation, transport between climbs and a celebratory breakfast. The route leads us through some of England’s most spectacular scenery, covering the entire length of the impressive Hadrian’s Wall – 100 miles in total. This challenge is a combined cycle and walking route that covers the whole course of the wall in three days. 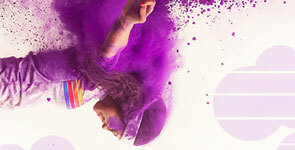 The Colour Run™ is the original, largest and most unique 5km run in the world. Celebrating healthiness, happiness, friendship and having the time of your life! 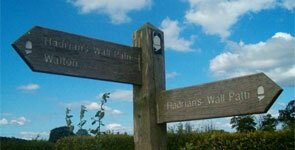 Bike, hike or walk through the spectacular landscapes of the Thames Ridgeway. Test your limits on the off road mountain bike trails and then kayak along the Thames Waters. Breakfast included as well as a celebratory buffet at the end. This Fantastic race gives runners the opportunity to see the Silverstone race circuit in Northamptonshire like never before with one of the fastest and flattest half marathon routes in the country. 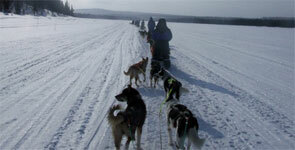 Ever dreamt of driving your own team of spirited huskies across the Arctic, with civilisation left far behind? Spend 6 days sledding 250km from Norway, into Sweden through untouched nature, in order to finish at the world famous Ice Hotel (the original!) in Jukkasjarvi! 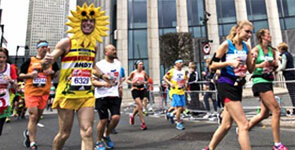 Take part in this year’s Virgin Money London Marathon and help raise money for Creating Better Futures. Find out how you can help with Creating Better Futures, whether that’s fundraising, donating, sponsoring a child, or volunteering.